StepDrive puts an automatic 2-speed gearbox inside the Volvo Penta Duoprop 290 series drive leg. The effect is a massive boost in acceleration, reduced time to plane, quieter running, reduced running cost and much better close quarters handling and low speed running in restricted waterways. Web Site Snapshot: If available, above is a snapshot of the Stepdrive web site at http://www.stepdrive.co.uk as it appeared when this site was added to the directory or last verified. Please Note that Boat Design Net has no involvement with the above web site; all content and images depicted in the above thumbnail are the property and copyright of Stepdrive unless otherwise noted on that site. 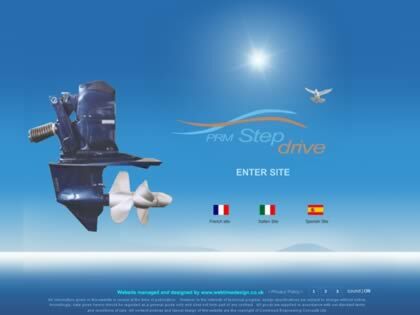 Description: StepDrive puts an automatic 2-speed gearbox inside the Volvo Penta Duoprop 290 series drive leg. The effect is a massive boost in acceleration, reduced time to plane, quieter running, reduced running cost and much better close quarters handling and low speed running in restricted waterways.